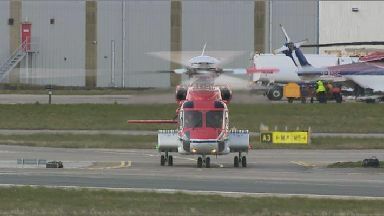 Fourteen oil workers and two crew members died when a Bond Super Puma plunged into the water off the Aberdeenshire coast on April 1, 2009. An Air Accidents Investigation Branch (AAIB) probe into the crash found that the aircraft suffered a "catastrophic failure" of its main rotor gearbox, while a fatal accident inquiry (FAI) in 2014 found that the tragedy might have been avoided. Eleven passengers and two crew members were killed when a Super Puma 225 aircraft came down near the city of Bergen, Norway, in April 2016, while in August 2013 a Super Puma L2 carrying oil rig workers ditched in the North Sea leaving four people dead. RMT general secretary Mick Cash said: "On the 10th anniversary of the Super Puma disaster off Peterhead that cost 16 workers their lives, our thoughts are with the families, colleagues and friends affected by the tragedy. "Offshore workers remain angry that despite a five-year Fatal Accident Inquiry process we still await justice, meaningful changes and the public inquiry into helicopter safety in the North Sea that has long been our central demand. "Meanwhile confidence in the safety of offshore helicopter transport has declined as we continue to see commercial pressures on standards in a culture of cost-cutting. "On this grim anniversary for the industry the union pledges to step up the fight for North Sea helicopter safety, a public inquiry and lasting changes to regulatory standards that are the best way to restore offshore workers' confidence." In a statement after the FAI, Bond Offshore said it accepted that it had made mistakes and that lessons have been learned and continue to be learned. A Department for Transport spokesman said: "We have given this matter careful and serious consideration, and the CAA has already undertaken a comprehensive review into this matter. "We found that a public enquiry would not achieve anything beyond the assurances already provided by this review, which culminated in number of significant changes to increase the safety standards of offshore helicopter flights." Paul Wheelhouse MSP, minister for energy, connectivity and the islands, said: "The offshore workforce's concerns on helicopter safety are a shared priority of the highest order and, especially on this day, our thoughts are with the families, colleagues and friends of those who lost their lives in the Super Puma tragedy. Deirdre Michie, chief executive of Oil and Gas UK, added: "As we mark the 10th anniversary of the tragic Super Puma helicopter crash in the North Sea, our thoughts remain with the families, friends and colleagues who lost loved ones that day and we will never forget them. "This anniversary serves as a stark reminder that we can never be complacent about ensuring safe operations in our industry."